Medical research in Canada is a multi-billion dollar sector of the economy. Taking aggregate figures from the largest public funding agency in Canada, the Canadian Institutes of Health Research (CIHR), as well as publicly available figures for industry funded research, we’re looking at something in the range of $1B of government funding and approximately $600M of industry funding (primarily for Phase I-IV clinical trials) annually. This results in a total of approximately $1.6B/annum* directed at a broad spectrum of medical research including basic sciences, laboratory research, clinical trials, observational registries, epidemiological studies, knowledge translation, health economics, patient-oriented research, and more. This funding flows in a variety of ways from CIHR and industry, to academic and other researchers. By itself, the CIHR funds a significant majority of academic research centres across Canada, and this flow of funds is primarily managed by the institutions that receive these funds. However, there are significant operational hurdles that are caused at the recipient end (i.e. the award winner / recipient of funding – the researcher) by this flow. One of the most common challenges for an academic researcher (though this is certainly not limited to academics) is how to understand what the implications of their award mean, specifically from a cash-flow perspective. Before we talk about operational hurdles, let’s spend a moment to discuss what cash-flow is. In its most basic sense you can think of cash-flow as “How much money do I have this month (a) coming in to my account, (b) how much money is going out, and (c) what will I have left at the end of the month?”. Cash-flow is vital as it ensures and guarantees that you can pay people, businesses, vendors, contractors, and others in a timely fashion – if you don’t have money in the bank, you can’t proceed! Doctor A, who is an academic researcher working at Hospital X, receives an unrestricted grant / funding support from Biotech Company Q. Biotech Company Q, rightly protecting their interests and ensuring that they are able to get a final report from their grant, say that they will disburse funds in the following format: (1) $25,000 upon signature on a funding contract; (2) $50,000 after 50% of patient enrolment; (3) $50,000 after 100% enrolment, and (4) $25,000 upon submission of final report. In the common example above, one of the key challenges from a financial management perspective is this: each of the contractors/vendors (e.g. statistician, laboratory, database vendor) will require a portion of their total fee as an up-front payment. For the purchase of equipment, the likelihood is that the total payment will be due immediately for enrolment and other administrative costs payments to occur on a regular basis. This leaves us with a significant challenge – the funding will arrive on a per-patient enrolled basis, but expenses are anything but. In fact, reviewing the payment Dr. A would need to make prior to enrolment even starting, Dr. A would owe $2k (statistician), $15k (equipment), $5k (lab), and $20k (database) for a total of $42k. This means that even before enrolling a single patient, Dr. A is in a deficit position of $17k ($25k upon signature minus $42k payment owed). How many academic research hospitals would let Dr. A run a $17k deficit, immediately after starting a study? This illustrative example highlights a simple precept. Before signing any funding agreement, understand your financial exposure, demands, and needs and then best manage the way in which you will be receiving funding. Always negotiate your funding agreement. The payment schedule is as important as the total amount you’re receiving. There’s no harm in trying to get things to better align to your advantage. Make sure you understand the full scope of your project, and the timing of payments that you will need to make. 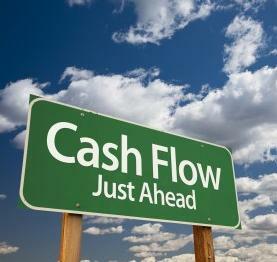 This will help you to manage your cash-flow. When contracting with external vendors/sub-contractors, ensure that the payment schedule you agree on is consistent with and allows you to maintain a positive (or neutral) cash-flow. Work with your institution and leverage their size and experience to enhance your negotiating muscle. Speak with your institution to better understand if they can help you manage your cash-flow situation. Sometimes, and particularly if it’s a matter of when you get paid (not if), your institution may be willing to support you when you are in a negative cash-flow situation. Make sure you know what’s going on with your financial status at all times – get your institution to provide you with a regular (monthly) report on funding status. Khalid is the Manager of Business Operations for the Applied Health Research Centre and Lead of the HUBHealth Research Solutions.